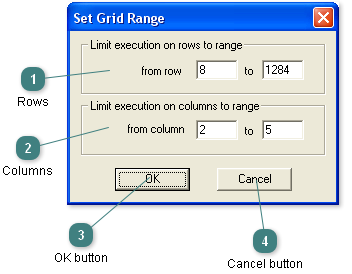 The Set Grid Range dialog is opened using the grid, right click, context menu. Functions can be limited to grid ranges. The range of rows for the function. The range of columns for the function. Press Cancel to reject the settings and close the dialog.